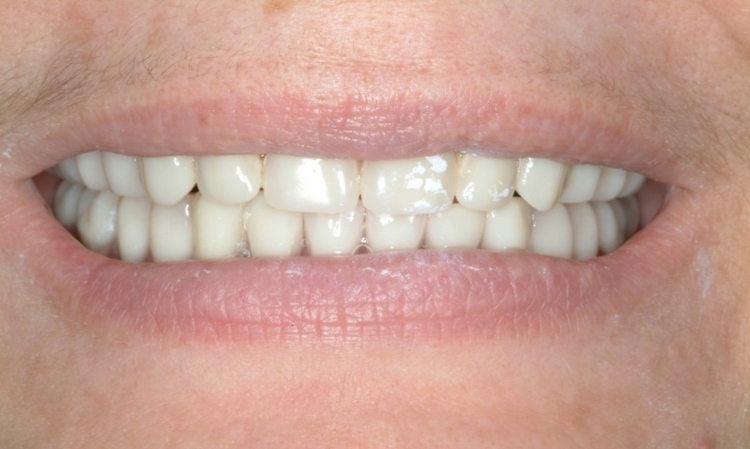 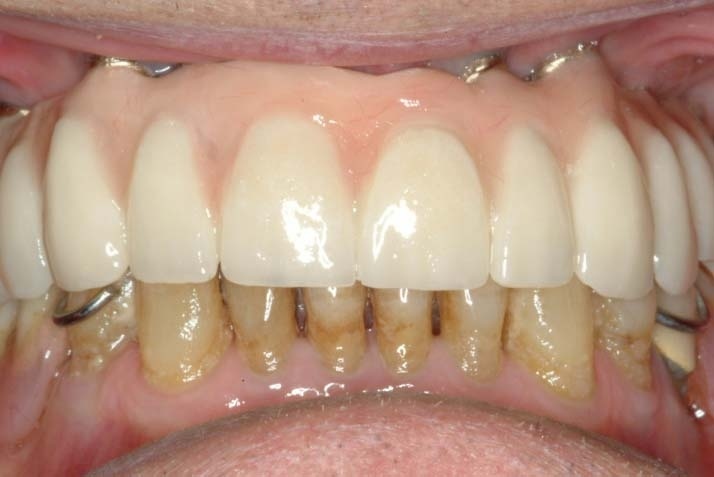 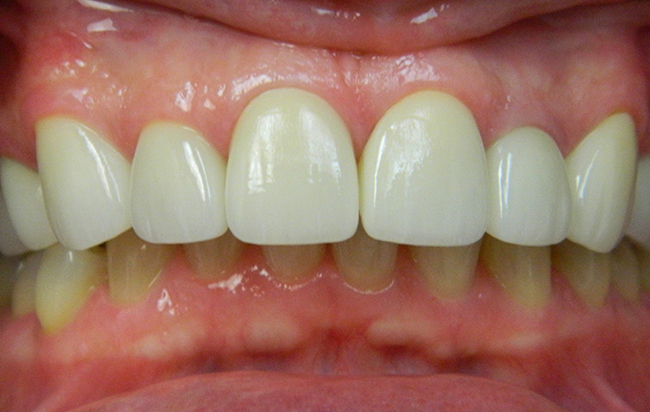 Failing fillings and old crowns were replaced with cosmetic dental work. 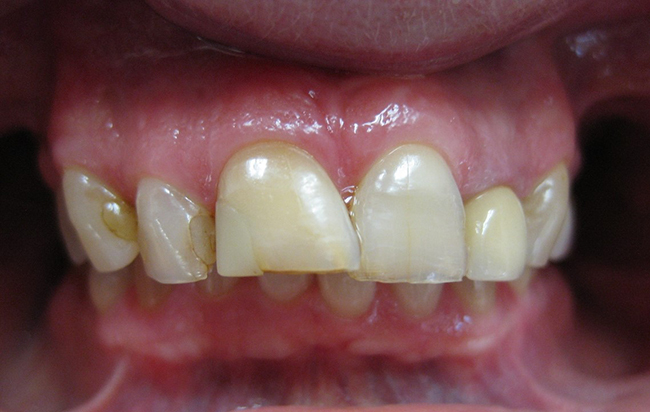 Failing bondings and chipped teeth were replaced with four porcelain veneers. 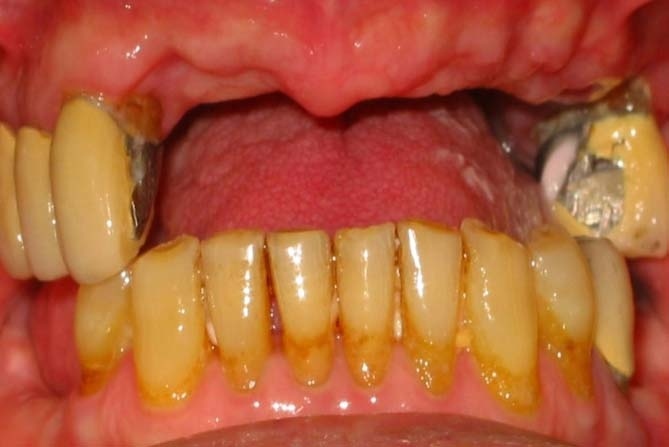 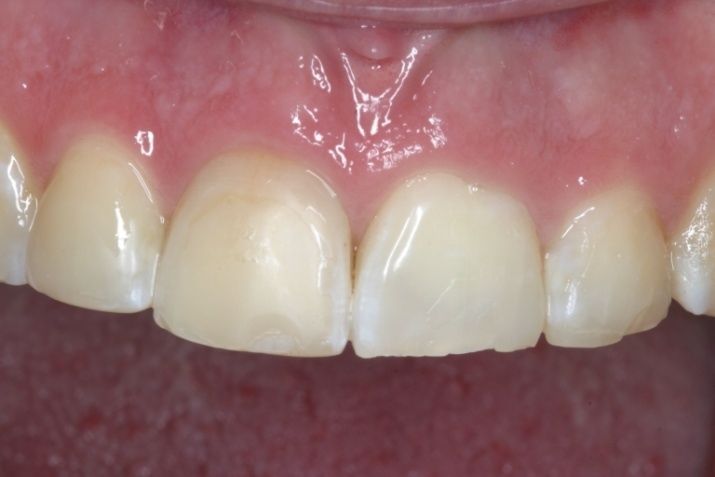 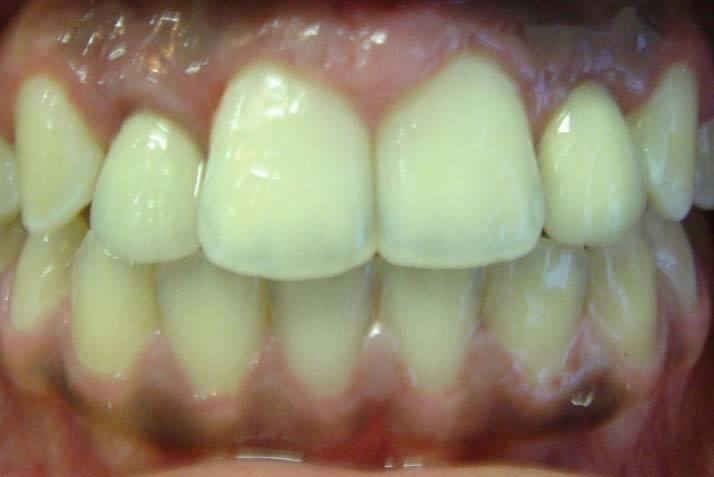 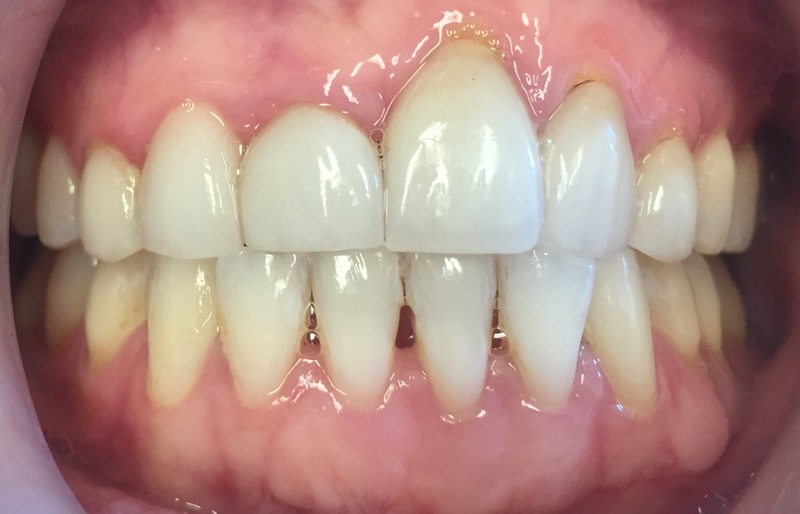 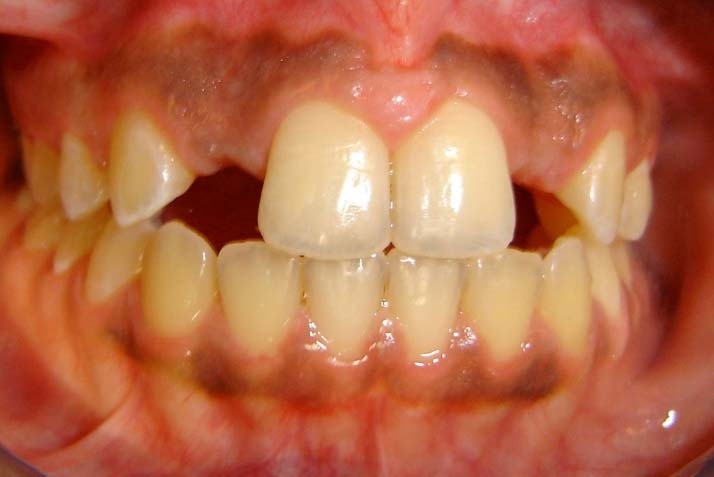 Patient had conventional braces when younger but had relapse and crowding. 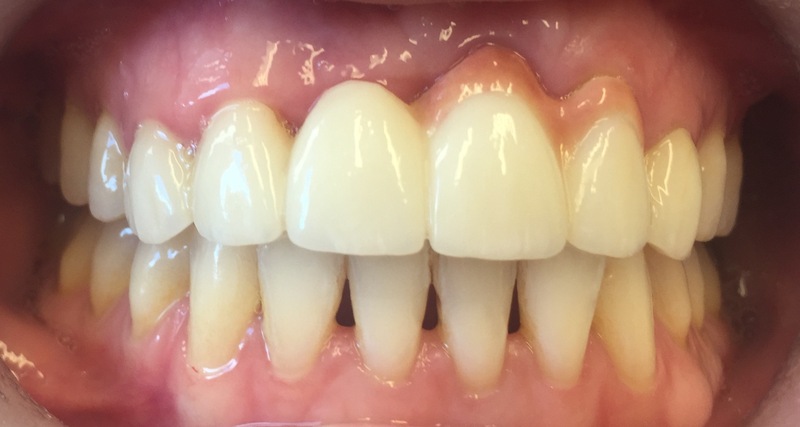 Invisalign was used for wire free correction of crowding. 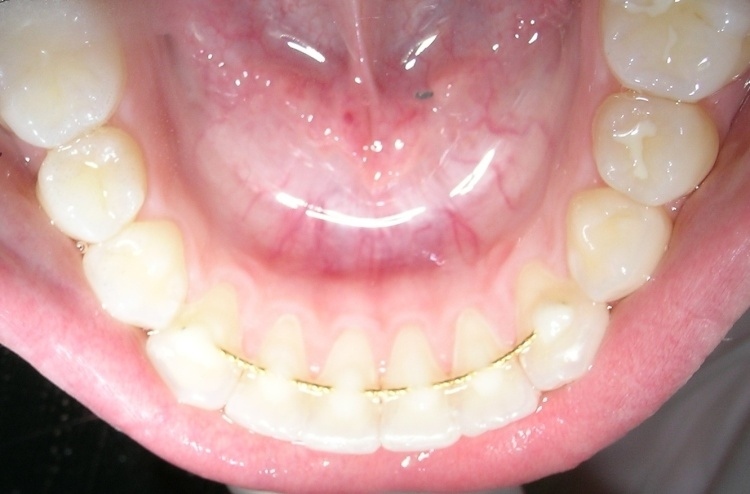 A fixed retainer on the lower was placed to help with long term retention. 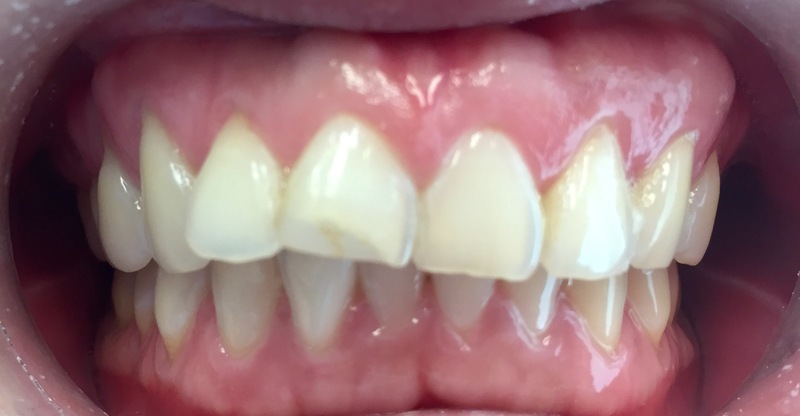 3) Patient had lower dentures and required more retention. 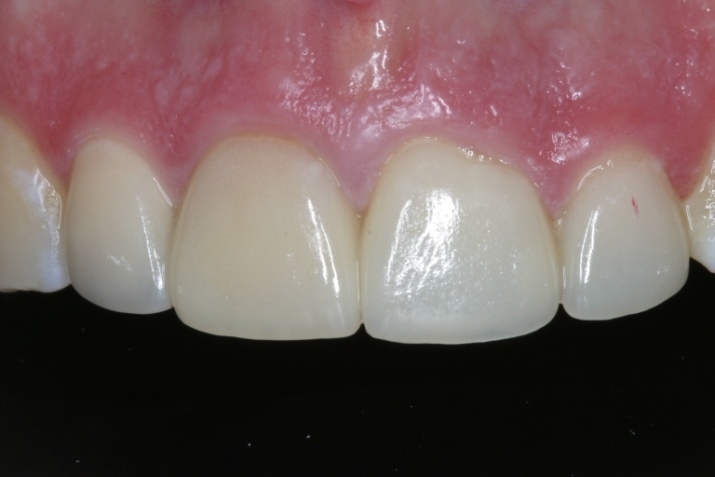 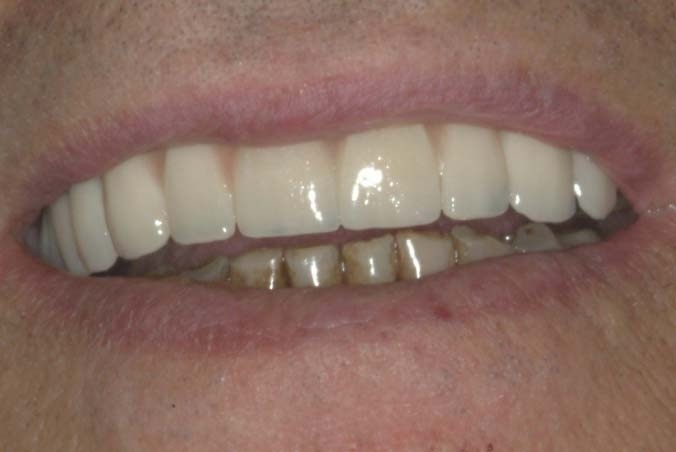 Two Implants were placed, an overdentures created to give natural hold and grip.